For modern Hendersonville lodging options situated on over eighty acres of pristine farmland, book your stay at the renowned Horse Shoe Farm. 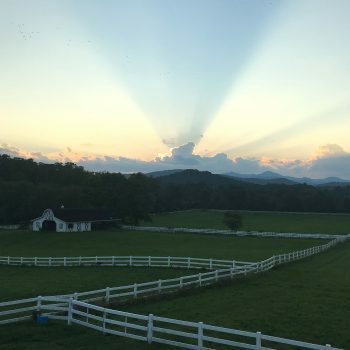 Although The Horse Shoe Farm is isolated in the highlands of the Blue Ridge Mountains, the property is only a short, ten-minute drive from the Asheville Regional Airport. 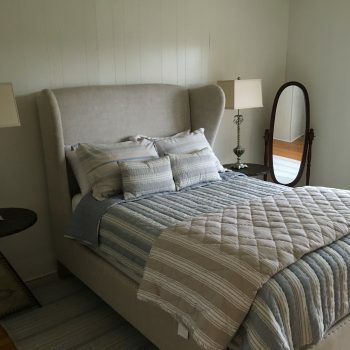 From cozy cottages to expansive manors, the farm offers a number of vacation homes available for rent. The property also boasts three event venues that are perfect for weddings, family reunions and corporate retreats. Not many Hendersonville lodging options accommodate equestrians to the same extent as The Horse Shoe Farm. Our most iconic rental is The Stable House, which accommodates both horses and their owners under the same roof. The first floor features fourteen spacious stalls, in addition to a feed room, wash stall and tack room. The fully renovated second floor features five spacious bedrooms and three bathrooms, in addition to an open living area and kitchen space. A second story deck allows guests to soak in the sights of the expansive property. Large groups looking for Hendersonville lodging can find respite at The Magnolia Manor. The home boasts 4,800 square feet of living space, five bedrooms and five bathrooms. Twelve guests can stay at the manor comfortably, which sits atop the highest piece of property on the farm. A gazebo, brick patio and fire pit bring the entertaining outdoors, where guests can enjoy the stunning mountain views. For those seeking a secluded getaway, The Meadow Cottage is tucked away in a serene corner of the property. The cottage décor is reminiscent of a classic white farmhouse with lap siding, a cozy brick fireplace and a large front porch full of rocking chairs. Up to six guests can comfortably stay in the three-bedroom cottage. The smallest of available Horse Shoe Farm rentals, The Lily Cottage is quaint, cozy and intimate; perfect for a couple’s romantic getaway. Lush landscaping and a border of oak trees creates a sense of seclusion around the home, which features two bedrooms and two bathrooms. Lastly, The Willow House is an idyllic rental for those who are seeking relaxed and modern Hendersonville lodging. Nestled in the heart of the Horse Shoe Farm property, The Willow House is located near a number of farm amenities. The home gets its name for its close proximity to a peaceful pond and grove of wistful Willow trees. The home can comfortably accommodate up to ten guests. When staying at The Horse Shoe Farm, we encourage guests to explore all that the property has to offer. From sampling the delectable delicacies served at The Silo Cookhouse to exploring the banks of the nearby French Broad River, staying at The Horse Shoe Farm is truly a unique experience. Book your Hendersonville lodging through The Horse Shoe Farm and experience for yourself how sweet life on the farm can be.